For our 1 year wedding anniversary, my husband took us (me and the baby!) out to this new Mexican restaurant we have in town called Coba Cocina. It has this beautiful fish tank, and the food is delicious! It’s a very modern take on some Mexican dish favorites. We had nachos for an apetizer; they were individually made nachos. Amazing! 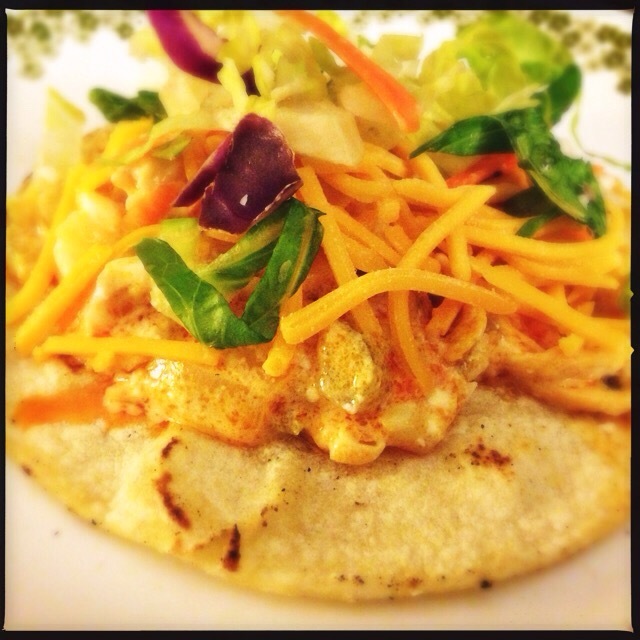 My inspiration for today’s recipe came from the delicious buffalo chicken tacos I had! At Coba Cocina, they lightly fried the chicken, then covered it with delicious buffalo sauce, and topped it with a coleslaw. Since, I couldn’t fry to save my life, and I’m a busy mom, I came up with a recipe that takes 5 minutes to put together, and you let the crock pot do the rest!